Have you ever wondered if there are quilters in Russia? 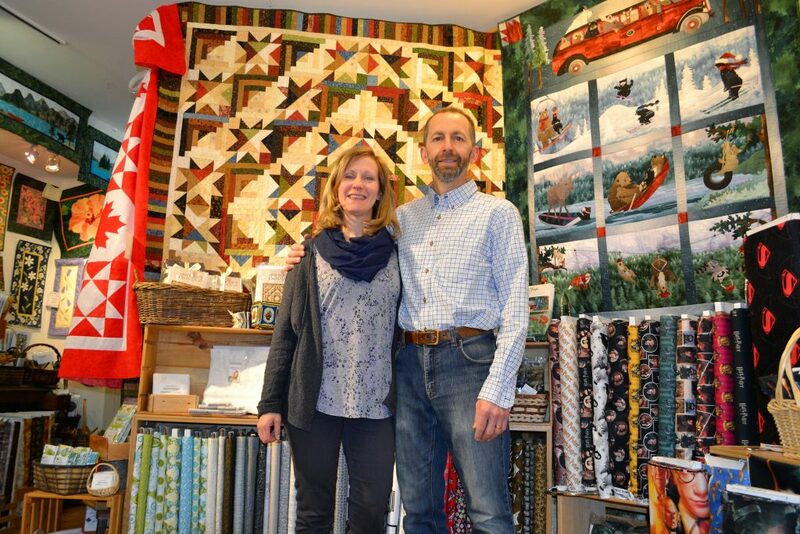 Do they embrace the art of quilting with fabrics in the same way that North Americans do? Gail Heller, a Canadian businesswoman and Certified Instructor for Studio 180 Design happens to know the answer and it’s a resounding “yes”! 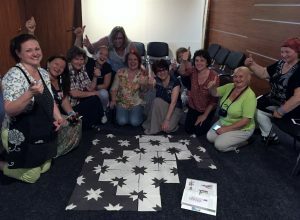 Gail recently returned to Calgary from a trip to Russia, teaching quilting skills to women in the quaint and charming medieval-style town of Suzdal, located on the banks of the Kamenka River a four hour drive from Moscow. Suzdal’s warm, friendly and welcoming citizens quickly put Gail and her Canadian travelling companion Sharon Thompson, at ease. 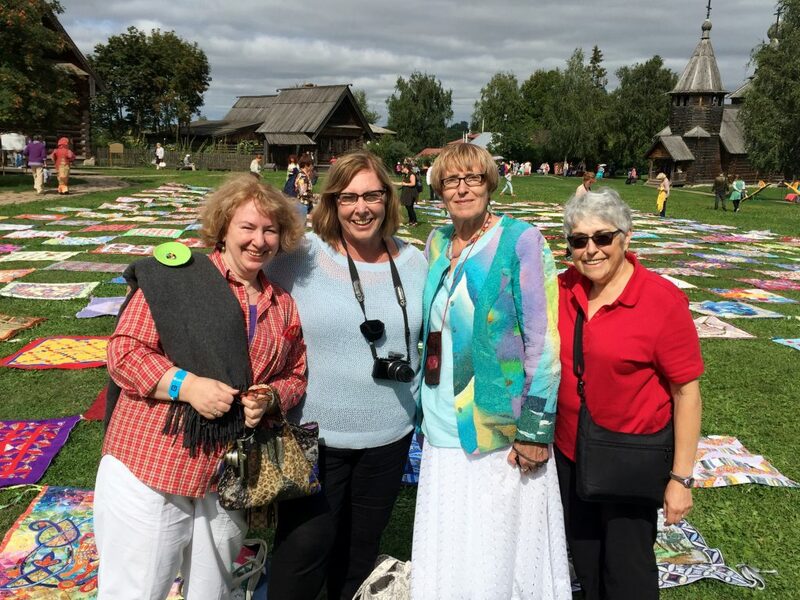 As part of the Suzdal second annual International Quilt Festival, Gail was invited to attend as international quilt instructor. She feels privileged to have given a trunk show and taught three classes to 36 willing and eager Russian students. 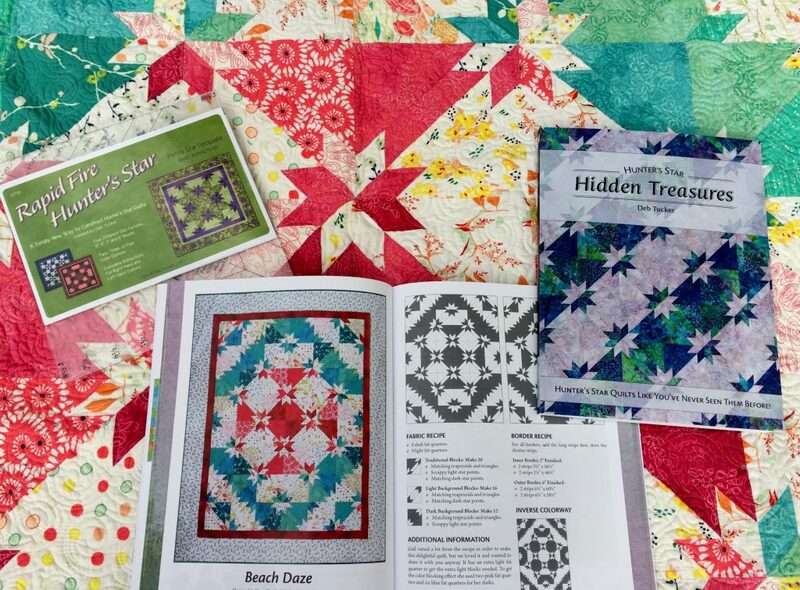 Each student, working within a three hour time frame, made four quilt blocks using the Petite Hunter Star tool and Studio 180 method of piecing. At the conclusion of the class, the ladies used the floor as their design wall and “pooled” their individual blocks to make one pleasing integrated pattern. Gail quickly discovered that design skills in quilters is universal. The students were thrilled with their efforts. Apparently “thumbs up” means the same in Russia as it does in Canada! Gail loved and appreciated the enthusiasm of the quilters. She was struck by their wonderful work ethic, their talents and their willingness to learn and embrace the North American style of quilting. Subtle differences in their quilting habits however make their style unique. Although Russian quilters love the unbeatable quality of North American quilting cottons, these fabrics are not readily available to them. Proving their amazing resourcefulness, Russians will tend to use whatever fabrics they have on hand for their quilting. A patchwork style is very popular in Russia, with quilt tops being “backed” only and not quilted. Long arm finishing is just being introduced to the country. Time is of the essence to these ladies – they want to work hard; efficiently and quickly. Gail distilled her usual five hour quilt class down to a mere three hours to better accommodate the needs of her women students. In our country, mothers leave their children at home when attending quilt class. Not so for Russian mothers. Gail had several women arrive to class with their daughters in tow. In the case of one mother, she brought along her adorable daughter dressed in Russian costume, who did all Mom’s pressing and ironing as the blocks were pieced together. There is a greater desire in Russia that children are to be included in sewing instruction…..in fact, there is a wonderful feeling of community and support in passing down sewing and quilting skills from one generation to the next. Teaching a quilt class in English to a group of Russian-speaking students presented its own set of challenges. But Gail was armed and ready. As part of her pre-class preparation, she learned a few Russian sentences to help her students feel at ease. Я рад быть здесь means, “I am pleased to be here” and Я надеюсь, вам понравится мой класс translates to “I hope you enjoy my class”. 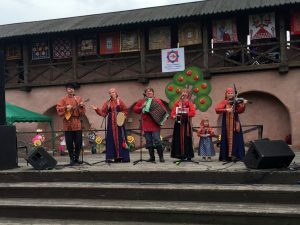 Rimma Bybina, Russian quilt festival organizer is fluent in both English and Russian and helped Gail effectively communicate with her keen students. A useful translation app, the pattern book itself and “charades” kept the ladies learning and moving forward. Language barrier aside, another teaching obstacle for Gail came in the form of measurements. Quilting in Russia is taught using the metric system. Even though Canada is a metric country, quilting here is taught using yards, feet and inches – the imperial system of measurement. Gail had to convert the quilt patterns to metric and assisted her students with their fabric cuts in order to avoid any confusion. Gail is home, back working at her company in Calgary. 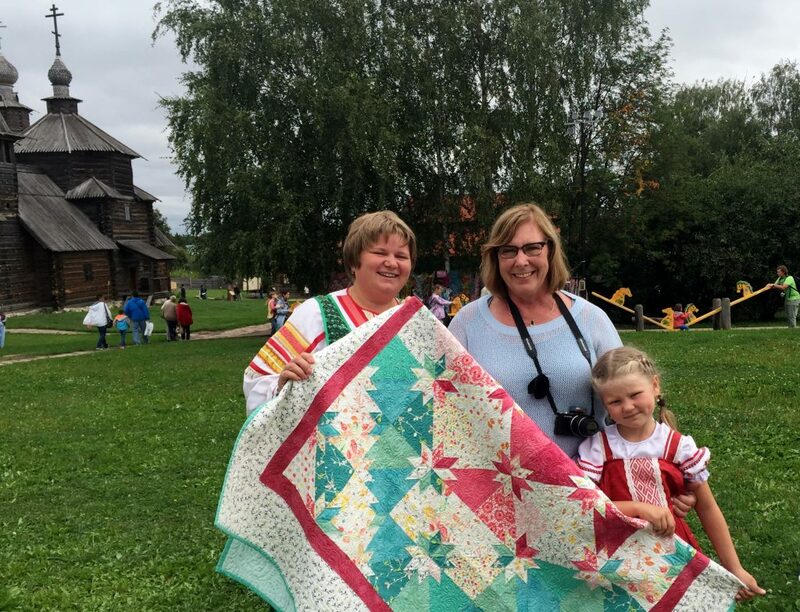 She is grateful for her wonderful experiences abroad and would encourage Canadians to visit Russia and the annual International Quilt Festival without trepidation. Her visit has left her with many new Russian Facebook friends….her translation app is working overtime! 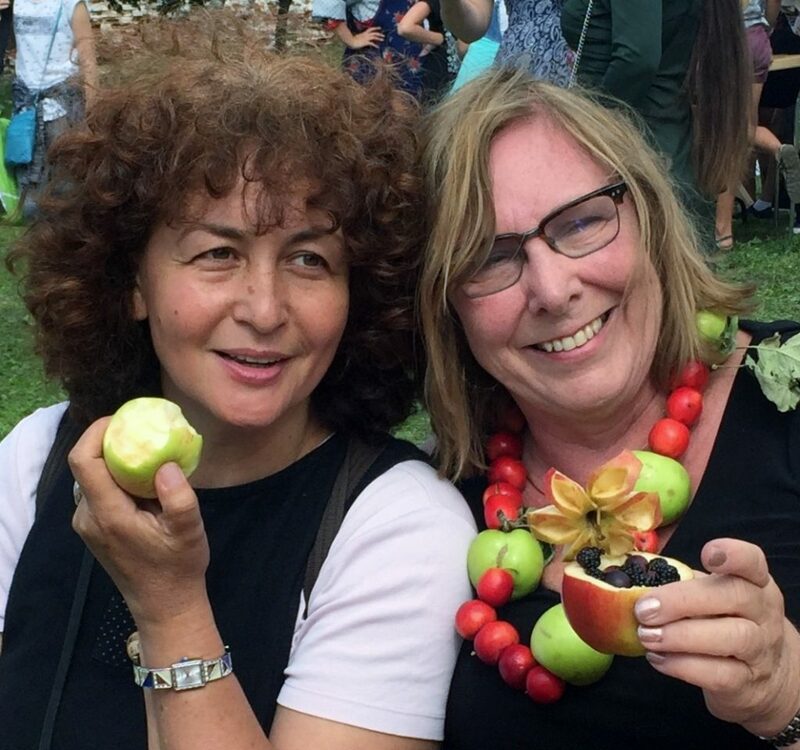 Gail and quilt festival organizer Rimma at the Applefest in Suzdal. Applefest ran concurrent with the quilt festival. 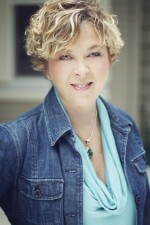 Gail Heller is a transplant to Calgary, Alberta from Port Stanley, Ontario. 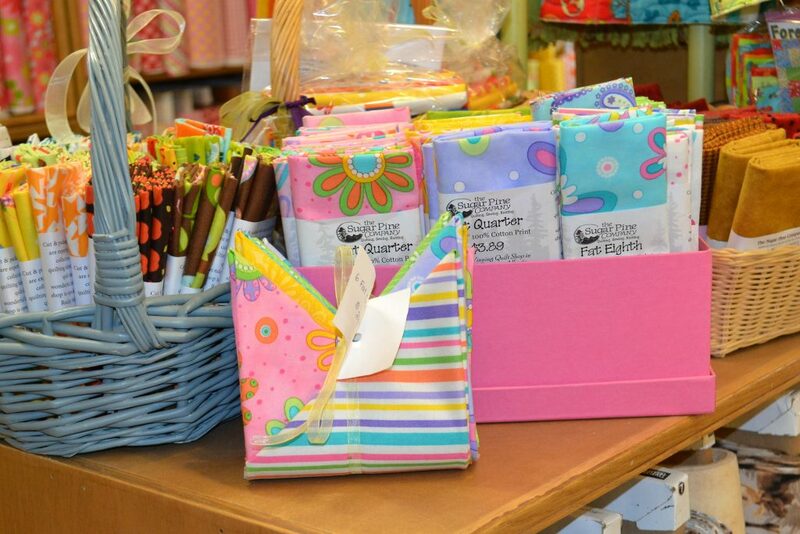 She runs Erie Quilt Art, a Calgary based distribution company selling quilting products to quilt shops across Canada. She is one of only four fully accredited Studio 180 Design Certified Instructors in Canada. Gail is also the exclusive Canadian distributor for Studio 180 Design (Deb Tucker) patterns and tools. This article previously appeared in Quilter’s Connection magazine. After my article Quilting – Healing Medicine was published in the May, 2017 issue of American Quilter magazine, I received some wonderful comments and feedback from readers. One lady in particular, Wendy Christian, really touched my heart. As a writer, feedback is so very important – actual proof that someone has read what you have written! Without it, we are basically lost in the woods. Positive or negative, feedback is the only way we really know if anyone has read our words. Wendy is a quilter who also struggles with the effects of PTSD. In Wendy’s words, “Quilting is my therapeutic escape. Your article touched me in a sense that it helped me realize there are others that use quilting in the same way I do…..as therapy”. I know its true that many suffer alone in silence; feeling their issues are specific only to them. Learning that others struggle in a similar manner is helpful beyond words. Wendy is working towards an admirable goal – she dreams of opening a quilting retreat for survivors of abuse. A warm and comforting place where educators and counsellors and quilters can gather to learn and sew and heal. I wish her well on her journey. 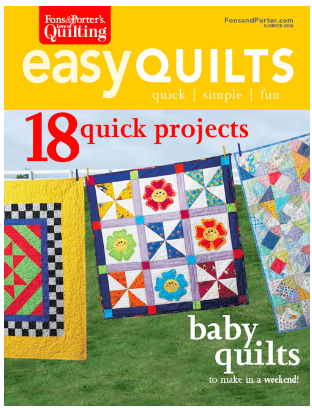 Here is a cover shot of one of Wendy’s baby quilts, Happy Flowers, published in 2008. Thanks so much everyone for reading my words. 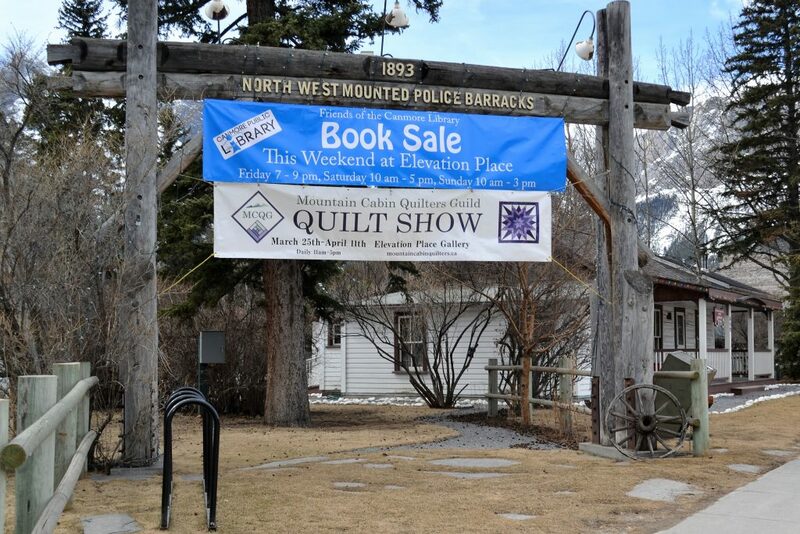 I took a quick trip west to Canmore yesterday, to do some research for an upcoming article I’m writing for Quilter’s World magazine. Even though I live only an hour away, I forget how beautiful it is. 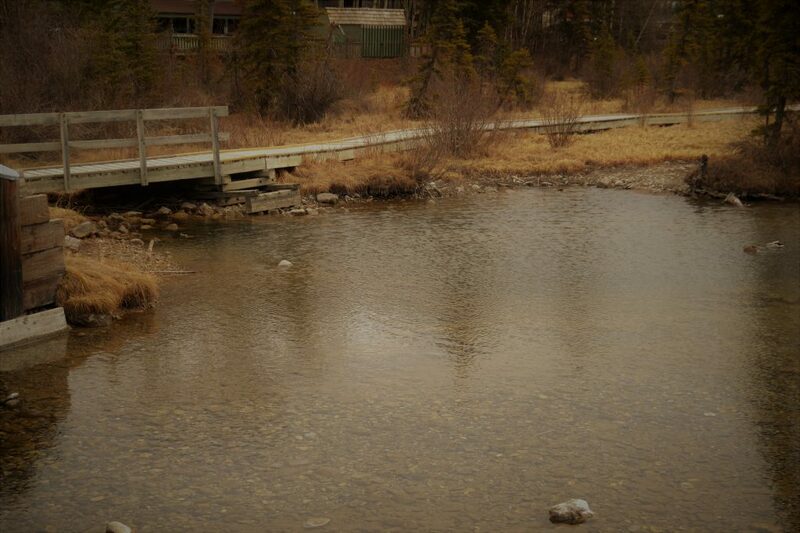 Being surrounded by mountains and walking paths and crisp, clean mountain air is truly amazing. What a pretty, bustling town! The displays are so pretty and so creative…..the work of owner, Leah. Leah and her husband Dean work together in the shop daily. While I was in town, I was lucky to take in the Visions Art Quilt Show. I will be sharing photos of wonderful art quilts with you all, but you will have to wait for my magazine piece! It’s due winter of this year. 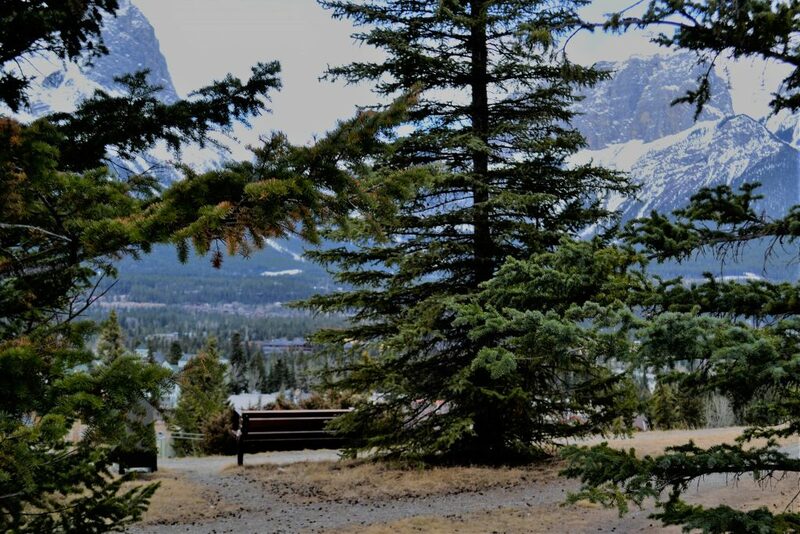 Any quilters or artists wanting to be inspired by the spectacular surroundings should take some time and visit Canmore. What’s old is all new again!